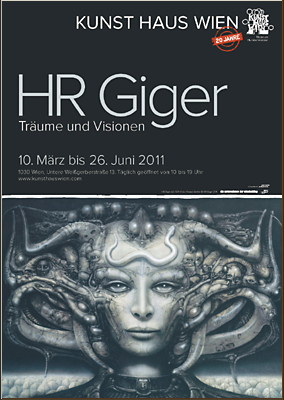 HR Giger – Dreams and Visions was a H. R. Giger exhibition at the Vienna Kunst Haus. The exhibition gave an overview over Giger’s art, be it his paintings, drawings or sculptures and of course his film work. It was rather short, which worked in my favor because I managed to wait until two hours before closing time on the last day to enter the exhibition and I wouldn’t have had more time anyway. Giger’s work is fascinating – it’s intricate, it’s scary, at times it’s surprisingly tender and his relationship with women and the female body begs for a Freudian analysis (which probably wouldn’t work too much in his favor). His style is very distinct – one recognises Giger when one sees his work. I don’t like all of his pieces, some I think are pretty sexist, but he also has paintings and sculptures that have such a haunting beauty that it makes me a little sad. In short, it was a fascinating exhibition, though I think the part I liked most were the people who were there. Already in the tram on the way you could pinpoint the people who would be standing next to you in the exhibition: dressed in black, long hair, piercings, tattoos – not the usual art crowd. After the jump my favorite pieces, as usual. I usually avoid it like the plague – it’s just too big and too crowded – and the first and up till now last time I actually went was in 2003. But this year I ended up going twice. On Saturday, I wanted to catch Attwenger and Russkaja and on Sunday The Beth Edges. Arcade Fire are a Canadian indie band. 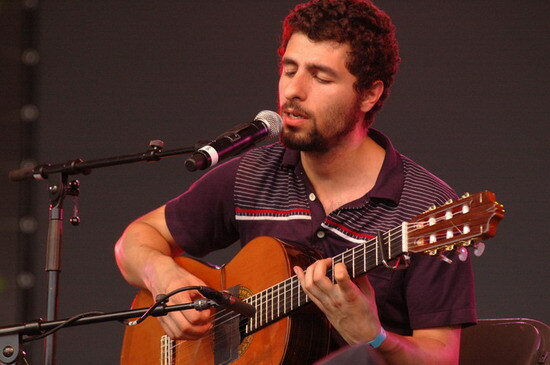 They played a concert in Austria with Swedish-Argentinian folk singer José González. The Blind Assassin is a novel by Margaret Atwood. As much as I loved Oryx and Crake, The Blind Assassin missed its mark for me. 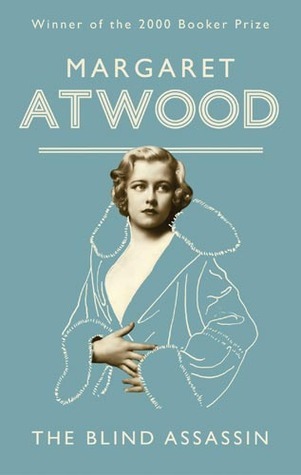 Atwoods prose is still wonderful – that woman knows how to turn a phrase – but I just never got invested into Iris’ story. Since I decided to join tumblr, the links can be found there from now on. It just makes more sense to get them out quicker and not have such huge posts anymore. That means that this will be the last “Links” post on this blog. And as I just caught up with pretty much the entire internet happenings in July, it’s a massive collection and will be after the jump. 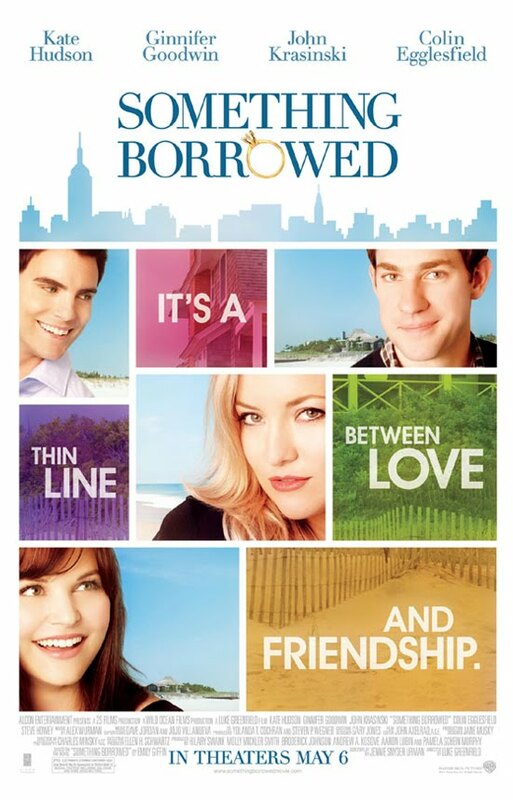 Something Borrowed is the adaptation of Emily Giffin‘s book, directed by Luke Greenfield, written by Jennie Snyder and starring Ginnifer Goodwin, Kate Hudson, Colin Egglesfield and John Krasinski. Rachel (Ginnifer Goodwin) and Darcy (Kate Hudson) have been best friends since about forever. Darcy is an extroverted party girl, while Rachel is pretty comfortable in Darcy’s shadow. But after a drunken night Rachel sleeps with Darcy’s fiancé Dex (Colin Egglesfield) who she’s been in love with since about forever. What starts as a single mistake soon ends up an affair that puts most of Rachel’s values in question. Something Borrowed is quite the chick flick – one that doesn’t insult your intelligence, has a nice sense of humor and good characters. It’s also a film that follows real-world-relationship knowledge and not Hollywood-relationship logic, which is always great. 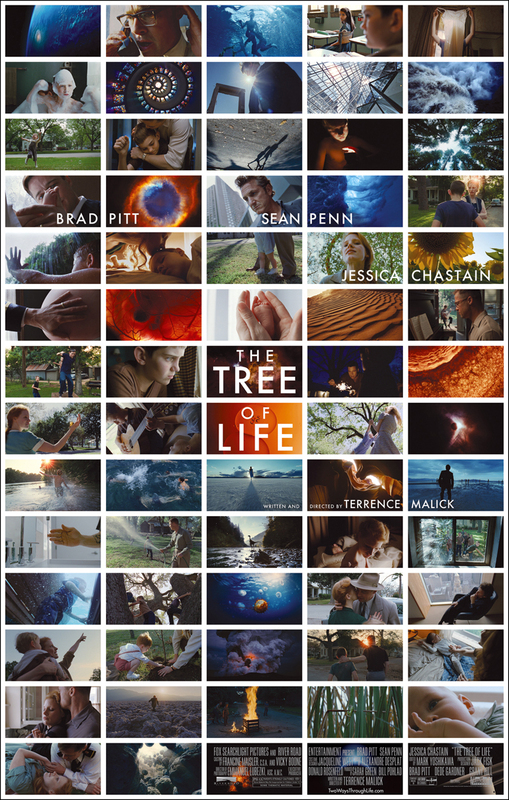 The Tree of Life is the newest film written and directed by Terrence Malick, starring Brad Pitt, Jessica Chastain, Sean Penn, Hunter McCracken, Laramie Eppler and Tye Sheridan. The film centers on Jack (Hunter McCracken) who grew up in the 1950s with his family. He has a very difficult relationship with his dominating father (Brad Pitt) and his mother (Jessica Chastain) can’t really protect him or his two brothers (Laramie Eppler and Tye Sheridan). Having the story as the centerpiece, the movie also goes way backwards and forwards in time. The Tree of Life is an absolutely gorgeous movie. It is really, really stunning to watch. 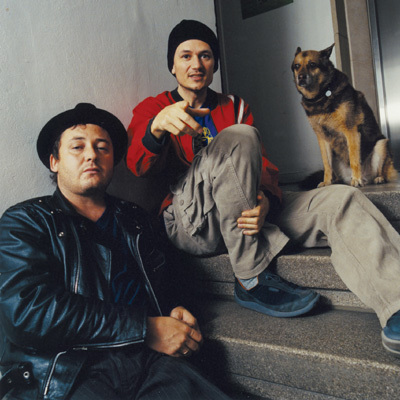 Unfortunately it’s also about an hour too long, boring and just way too esoteric-spiritual for my taste. X-Men: First Class is Matthew Vaughn‘s newest film, written by Ashley Miller, Zack Stentz, Jane Goldman and Matthew Vaughn, starring James McAvoy, Michael Fassbender, Jennifer Lawrence, Nicholas Hoult, Kevin Bacon, Rose Byrne, Oliver Platt, January Jones and Michael Ironside. Erik (Michael Fassbender) survived the Nazi concentration camps, mostly because he has the power to move metal and scientist Sebastian Shaw (Kevin Bacon) wanted to study him. After the end of the war, Erik starts continually hunting down Nazis, trying to get at Shaw. At the same time, Charles (James McAvoy) is a leading scientist in the field of genetic mutation – and himself a telepath. He is approached by CIA agent Moira MacTaggert (Rose Byrne) who saw Shaw with a couple of mutants and tries to figure out what’s going on. Charles and his adoptive sister Raven (Jennifer Lawrence), who can take on the form of other people, start working with the CIA and pretty soon the cross paths with Erik. Despite their different backgrounds, Erik and Charles start working together to find other mutants – and to get at Shaw. 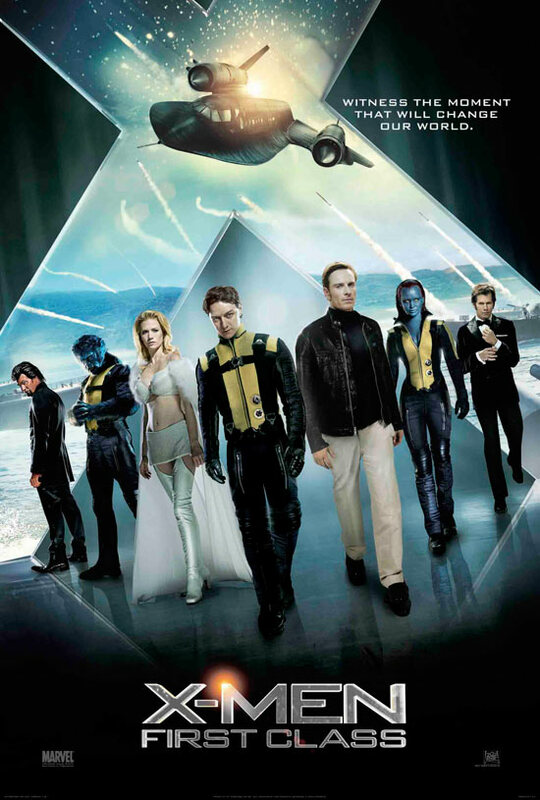 X-Men: First Class is not a perfect film – but it’s pretty damn close. The performances are mostly amazing, the script is intelligent, the action is wonderful and there is a lot of fodder for discussion. 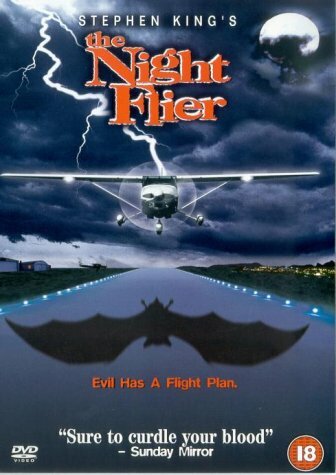 The Night Flier is Mark Pavia‘s adaptation of a Stephen King story, written by Mark Pavia and Jack O’Donnell and starring Miguel Ferrer and Julie Entwisle. A killer is on the lose – flying from small airport to small airport and killing whoever is working there that night. Seasoned tabloid reporter Richard Dees (Miguel Ferrer) doesn’t think the story is extremely interesting but when new assistant Katherine (Julie Entwisle) convinces their boss that the story is worth pursuing, Richard gets put on the case. While he’s less than overjoyed at first, he soon discovers that there might be more to the “Night Flier” than just a psychotic killer. The Night Flier neatly fits into the slew of most Stephen King adaptations: It’s fine, it has a nice B-Cast, it gets a bit cheesy, but in the end you see it with probably half of your attention, it entertains and then you forget it pretty much right away.